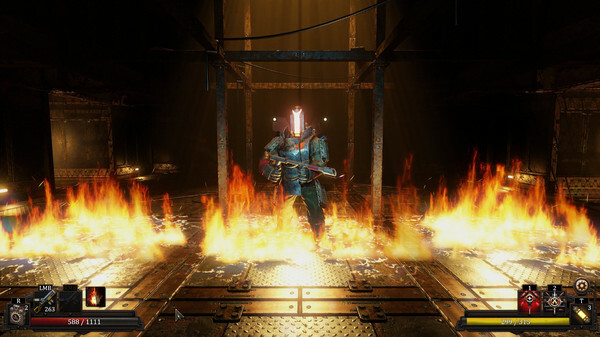 Vaporum is a first-person role-playing game with grid movement and original steampunk furnishings in which players, alone or with friends, have to explore intricate dungeons. The creators of the game were inspired by such classic games as Dungeon Master I and II, the Eye of the Beholder series, as well as the recently released Legend of Grimrock I and II. The main character is in the middle of the ocean in front of a huge tower. Can he find out what this place is, what happened here, and most importantly - who is he? Battles take place in real time. Each enemy has its strengths and weaknesses - use different tactics to defeat. 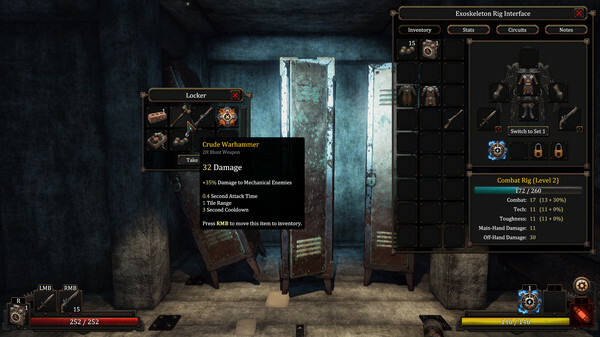 Each weapon has a set of unique bonuses and features. We'll have to think carefully before choosing what is right for you. In the game you will find a huge number of devices who attack enemies or damage area, give bonuses to attack or defense ... These devices are very powerful, but some enemies are immune to certain types of damage. Brain it out to figure out how to handle every obstacle in your path. Fights in real time with a first-person view. 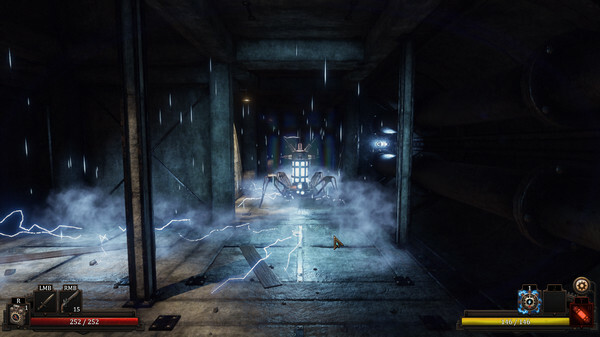 Puzzles and challenging tasks that often require you to bypass the entire level. Extensive opportunities for research, obtaining trophies and character development. Mystical storyline with a lot of secrets and mysteries. 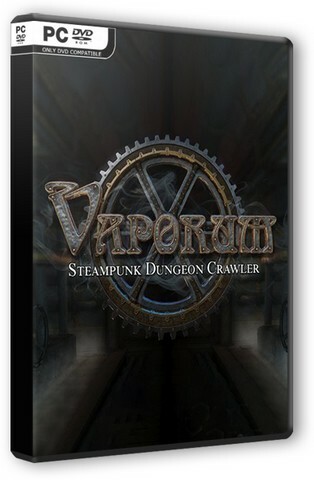 Full immersion in the atmosphere of steampunk.